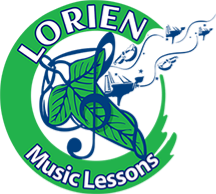 Lorien Music Lessons offers private, in home instruction to all ages and skill levels. Our learners can be from Pre K all the way to college students and adults. We equally accommodate first year beginners as well as the most advanced students. Depending on each student’s skill level and area of interest, all lessons are tailored with custom-made lesson plans. Our instruction contains of technical exercises, performance techniques, music theory, ear training, etc. We work hard to get the most out of our students’ talent and focus on their future development and great performances. Lorien Music wants to help our students understand the music better and be passionate about it. In our instruction, we include music history which helps the students relay better to the time the piece was written as well as information about the composer, the form, and the message that the music sends to the audience. At Lorien Music, we meet the highest criteria of excellence. We provide high quality instruction that is diverse, student oriented and life changing. Our professional instructor’s goals are to make music part of the education and everyday life. We offer a great variety of choices for lessons that can fit any age and skill level. It is our pleasure to help you make music part of your life! ​With over 30 years of music experience, professional violinist and music instructor Vanya Doychev carries her confidence in teaching violin, piano and music theory to students all ages. As owner and director, Mrs. Doychev offers advanced and engaging music programs including Private Music Lessons, Suzuki Method, Cajun Fiddle, Ear Training, Sight Reading, Technique, and Music History. ​We tutor, foster, and teach a desire for music that always leads to academic success. We are proud to provide wide range of programs for students different ages, levels and style preferences. Learn more about the lessons we offer in Piano, Violin, Cajun Fiddle, and Music Theory.